It’s important to practice mouse control in Pleasanton, CA if you want to avoid an infestation and protect your family from potential health issues. The more you know about rodent control, the more prepared you’ll be in case you do have to deal with an infestation. You need to know what kinds of signs suggest a problem, how to take care of an existing mouse infestation, and how you can keep rodents from infesting your home again in the future. 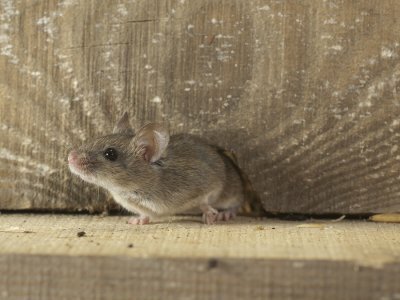 Read ahead for the answers to FAQs about mouse infestations. What are the symptoms of a mouse infestation? There are a few ways you can tell if you have a mouse control problem, and knowing what they are gives you the upper hand. This makes it easier to seek mouse proofing services and deal with your infestation before too much damage is done. One of the telltale signs of a mouse infestation is gnaw marks around the house. Mice will try to chew through anything they come across, from your electrical wires to your cereal boxes. They also leave droppings behind, which is a clear sign of an infestation. Call your professional when you first suspect that you have mice. The safest and most effective way to get rid of mice is to call a professional mouse removal company. Contact with mice can result in an array of different diseases, but the experts can get rid of your rodent problem without incurring too much risk. You can prepare your home for mouse removal by cleaning off the top of your fridge and the space under your sinks, sealing your food in containers that mice can’t get into, and listing the areas where you have seen mice or signs of their activity. Can I keep them from coming back? Once you’ve taken care of your mouse control problem, it’s time to focus on rodent prevention. 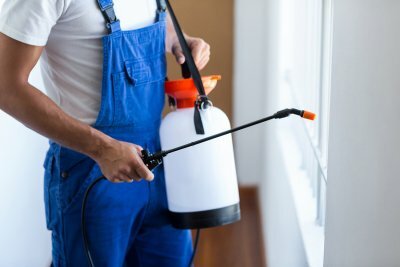 This means installing door sweeps under your exterior doors, patching holes in any windows and screens as well as your roof, and filling in gaps that could allow mice and rats to get inside. 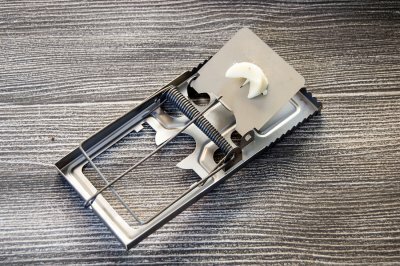 If you want to keep rats and mice out of your home this spring, it may be time to consider rat and mouse proofing for your home. 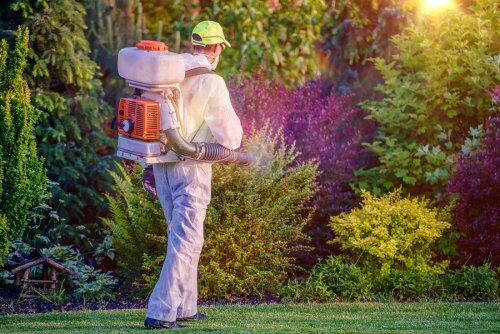 A company that specializes in rodent prevention near Pleasanton will be able to provide you with expert rodent proofing services for your property. By taking the time to keep mice out of your home in the first place, you will be able to avoid the need for extensive rat and mouse removal in the future. To highlight the advantages of rodent proofing for your home, let’s answer some commonly asked questions about mouse proofing. 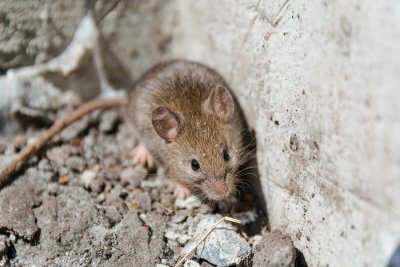 Where Do Mice Enter The Home? You may be surprised to learn that your home provides dozens of different entry points for mice and other unwanted rodents. When your pest control specialist comes to provide you with mice proofing services, he will begin your procedure by taking the time to identify these entry points. Tiny cracks in your vents, foundation, and roof ridges can all provide easy access for rodents to enter your house. Why Is Mouse Proofing Important? If you have never scheduled mouse proofing services for your household, you may have questions about the benefits of this type of procedure. In fact, taking the time to mouse proof your house can help you avoid needing costly and time consuming mouse extermination services in the future. Your mouse proofing procedure will be able to completely protect your household from the dangers of mice. Who Should Perform My Mouse Control Services? 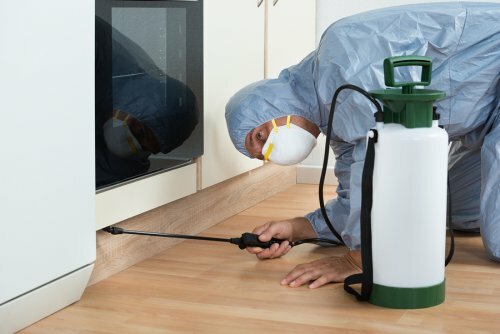 Once you have decided that you are ready to protect your home with mice control services, you will want to contact a team of professional exterminators. Your exterminators will know precisely where mice are likely to enter your home, and they will be able to pinpoint and protect these vulnerable locations. After your mouse proofing procedure has been completed, you will have the peace of mind that comes from knowing that you do not have to worry about rodents entering your home. Eliminating possible entry points is essential when it comes to rodent prevention. Check your home’s exterior as well as your attic and basement for any crevices where a mouse or rat might squeeze through. Then, close off these entry points accordingly. It’s not uncommon for people to keep things like firewood, tools, and equipment piled against or near their home’s exterior. This practice can be problematic because it can offer a home for rodents who may later migrate indoors. Walk around your home’s exterior and move firewood and other items at least 20 feet from the building. 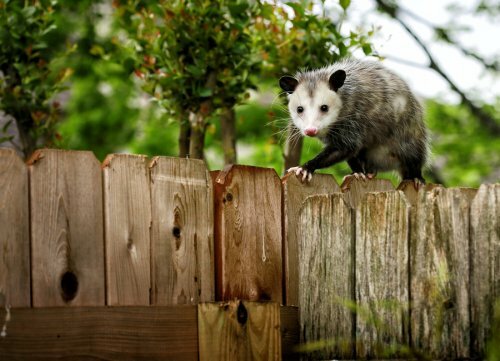 Also, keep shrubs and trees around your home pruned to reduce the chances of rodents finding their way indoors. Removing food sources is an essential part of the mice and rat-proofing process. 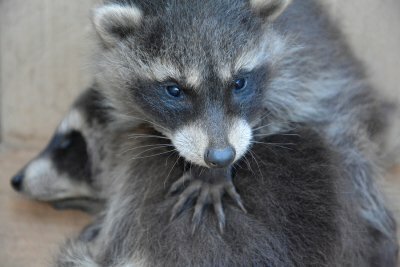 Start by checking your outdoor areas for problems, such as broken or uncovered trash cans, bird seed falling from feeders, and pet food that isn’t stored in a rodent-proof container. Indoors, you should clean your kitchen of food debris after each meal, avoid leaving dirty dishes in the sink, and store food items instead of leaving them on your countertops. Also, keep your pantry items in pest-proof containers and discard any leftover pet food instead of leaving it in the bowl. Like many pests, mice and rats are attracted to areas that have water. For this reason, eliminating sources of excess moisture is an important part of rodent-proofing your home. Walk around your property and pick up or turn over any containers that are collecting water. Also, think about improving your property’s drainage if your yard remains soggy after a rainstorm. Finally, have a plumber inspect your plumbing system for any leaks that need to be repaired. Rodent proofing in Pleasanton, CA is always important, but there are certain issues that tend to be particularly pertinent during the winter. Just like people, rodents want to get inside and away from the cold during the winter. Unlike people, however, rodents will crawl around in your air ducts and contaminate your HVAC equipment. Even leaving access points open for rodents suggests that your home is not as efficient as it should be. Read on for the importance of rodent proofing during the winter. 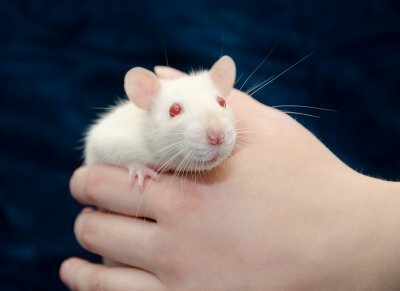 Mice and rats are similar to humans in the sense that they want to escape the cold when the temperature drops for the winter. This extra motivation can increase your chances of dealing with a rodent infestation, which is why you should seek mouse proofing services even if you haven’t had a problem in the past. Rodents are small, nimble, and excellent at climbing, so there are all kinds of tricks they can use to make their way into your warm house. Ask your rodent control specialist how you can practice proper rodent proofing during the winter. People tend to get more use out of their HVAC systems when the weather is particularly warm or cold. If your furnace uses ductwork in your home to circulate heated air, a rodent infestation can quickly contaminate your entire house. Rodents like to crawl through your air ducts and leave urine and droppings behind; as your treated air blows through the air ducts, it takes particles of these contaminants with it. Rodent proofing will help you keep rats and mice out of your home so you can enjoy better and healthier indoor air. If rodents are able to make their way into your home, this means there is some sort of access point. Anywhere rodents can get in, air can get in too; this means there is unnecessary heat exchange between your indoor and outdoor air, which can drive up your energy bills. Have your rat control professional help you seal up any access points before the winter hits. When you schedule rat and mouse proofing for your property, your contractor will take the time to identify and seal up any potential food and water sources around your home. A colony of rats and mice will be more attracted to your home if they are able to find the water and nourishment that they need to survive. By working with a team of rodent control professionals in Pleasanton, you can make sure that your household does not invite rodents indoors. There are many different potential food and water sources that can be found around your home. In your kitchen, rodents may be attracted to pantry items that have not been properly sealed. Pet food, such as dog kibble, also provides the perfect food source for rodents. Rodents can find water sources throughout your plumbing system, and in any small puddles of water that are left in your drains. To achieve the best level of rodent control in your home, you will want to make sure that these food and water sources are completely eliminated.